Kanye West and Kid Cudi have unveiled their new collaborative album, Kids See Ghosts. The seven-track release has the same minimalist ethos of ye but sounds completely different, featuring more polished, haunting production and some surprising musical samples, as well as features from Pusha T, Ty Dolla $ign, and Yasiin Bey (fka Mos Def). 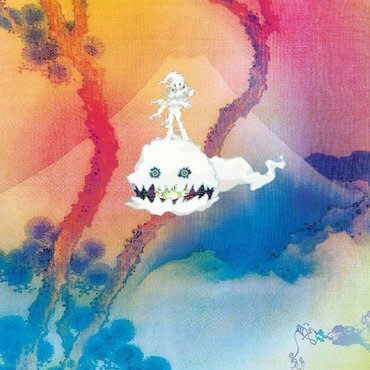 Kid Cudi unveiled the album artwork designed by Japanese artist Takashi Murakami. Known for coining the postmodern art movement “Superflat” influenced by the cartoon-like style of manga and anime. Murakami takes inspiration from a traditional Japanese landscape watercolour and converts it into a psychedelic scene for the album's artwork. Kids See Ghosts is the third of five new album projects from Kanye West. It follows on from Pusha T's Kanye-produced album Daytona and Kanye's eighth solo album ye.